He reads one of the books and hears some strange sounds coming from the island in the lake. Hercules has come to life on the island. And he’s not the last. The Three Musketeers (and D’Artagnan), Robin Hood and Maid Marian (and, unfortunately, the Sheriff of Nottingham), Tom Sawyer, and Pollyanna quickly follow. Oh, and Jack, the guy with the beanstalk. Lilah and I both really enjoyed the scenes of the characters from different books interacting, actually. And the premise! What a premise. Execution was middling, but I’m giving it three stars for a fabulous premise and the scenes where Hercules has joined the Merry Men (and Billy’s promotion to Sir William of Goat – trust me, it’s hilarious). Why is all this happening? Dr. Libris, the owner of the cabin is conducting a study of dubious ethical quality (seriously, how did he get funding for this? must be from an evil conglomerate). He thinks Billy’s imagination makes him a great candidate. 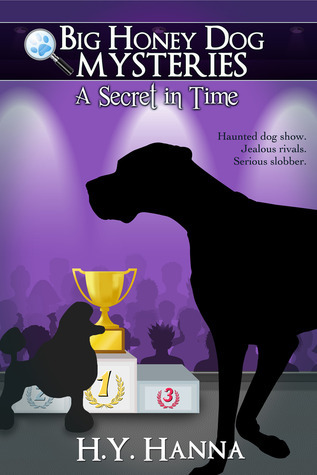 Billy’s imagination brings the books to life with theta waves pseudosciencebabble. This is very cool, but Billy’s friend Walter is also able to bring characters to life (not even characters from books – a character from his Magic: The Gathering knockoff game) but only while on the island. Even the bully brings a video-game character to life from the cheat guide he carries around. I had a problem with this internal consistency. Why make such a big deal out of the locked bookcase if anyone can bring any character from any written material to life by standing on the island and reading? Dr. Libris’s experiment notes were rather intrusive to me as well. Billy meets a Mean Kid who is the archetype of bullies everywhere. No nuance here. This kid shows up to create false suspense while Billy and Walter have their adventures. Alyssa, Walter’s little sister, is actually a lot of fun, but she’s barely in the book. They fob her off on Pollyanna to babysit. So that’s what you do with girl characters. Have them babysit. Anyway, Billy also cooks up a ridiculous PARENT TRAP kind of plot involving pretending that Billy has fallen off a cliff) when his dad visits the island. This is utterly ridiculous and distracting. 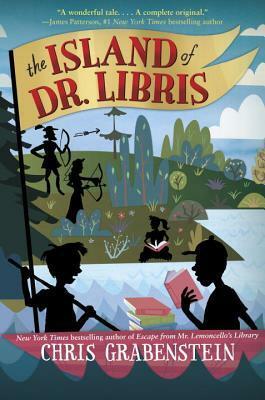 Dr. Libris finally shows up to do a mad-scientist kind of rant and then fly off in his helicopter. Still, the scenes with the various characters interacting are magical and fun, and there’s a lot to like here, even with all this infuriating mess. The most wildly improbable things happen to Jaya Jones, but I never have trouble suspending my disbelief because she’s just so darn fun. In her third adventure, Jaya receives a ticket to Paris from ex-flame/bad boy Lane and decides to temporarily abandon her professorial responsibilities and head out. 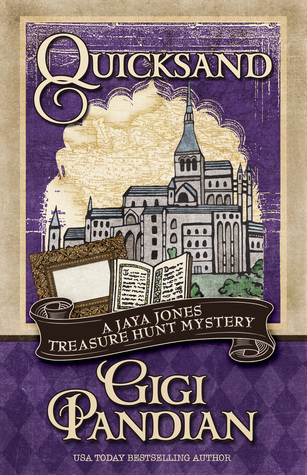 When she arrives, she finds herself involved in an art heist at the Louvre, seeking advice from an elderly magician, and following clues in an illuminated manuscript. All this takes place in Paris, Mont St Michel, and delightfully creepy subterranean crypts. It’s no coincidence that Jaya’s last name is Jones. She’s the modern-day, female, Indian-American Indiana Jones I didn’t know I needed in my life. Pandian is adept at incorporating historical information and details without resorting to long expositional passages, making for a layered read of adventure, history, and not-quite-too-much romance. Constant plot twists make for a fun read. I previously reviewed the first two books in this series, Artifact and Pirate Vishnu. I didn’t even realize I was longing for Jaya Jones, a modern, Indian-American Indiana Jones, but I’m delighted to have found her. 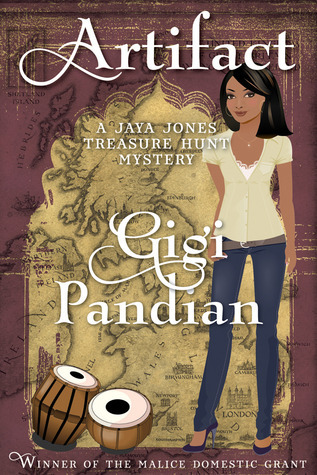 She’s great fun in this adventure/treasure hunt/mystery. Pandian jumps in headfirst: “An old lover was dead before his thirtieth birthday. A ruby anklet rested in my lap inside his handkerchief. The package had been sent to me from Scotland, where said old lover was recently killed in a car wreck. A feeling of helpless confusion spread through me. In spite of what Hollywood movies suggest, it’s not commonplace for historians to receive mysterious packages containing jewel-encrusted artifacts previously in the possession of recently deceased archaeologists.” Naturally, she’ll have to pop over to Scotland, where ex-lover Rupert was last working, to investigate his death and the provenance of the anklet. There will be a break-in at her apartment to up the stakes. And she’ll travel with hunky Indian-artifact-expert Lane without worrying overmuch that he’s a complete stranger or questioning his motives. Jaya was born to an American man and an Indian woman in India, but her mother died when she was very young, so she grew up in America with an American father. Her older brother has recently decided to speak to her only in Hindi, of which she knows little. Her best friend (and music partner), Sanjay (The Hindi Houdini), teases her about being “a bad Indian” with the gaps in her knowledge. Interestingly, he speaks Punjabi, while Jaya’s mother was Tamil, which gives Pandian an opportunity to educate her readers a bit about India without condescending or being pedantic. I enjoyed both the historical education and the modern cultural one very much. What does an Indian artifact that shouldn’t exist have to do with a Pictish dig in Scotland? Finding out is great fun. An unexpected highlight: Fergus and Angus, two Scottish locals who frequent the pub where Rupert had been staying, who think Jaya is “a dark fayrie.” Scottish fairy lore is sprinkled in as the locals resist the digging. Jaya and Lane infiltrate Rupert’s archaeology crew to gather clues, which is entertaining enough to make up for its implausibility. Suspects are everywhere, and the action veers from one place to the next. Source disclosure: I received this e-book courtesy of the publisher.